“The ability to be external- and future-oriented is no longer optional”, says Keith Weed, CMO at Unilever. Looking towards the future when planning your next customer experience strategies in terms of incorporating innovation and digital is essential for businesses to move forward. 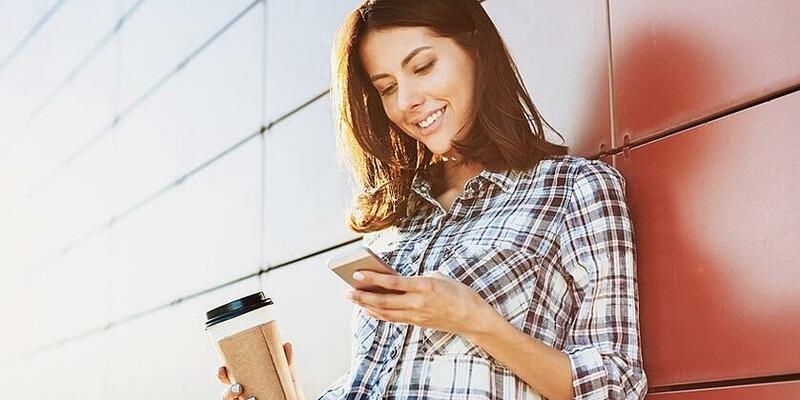 The way digital is changing everything it touches is apparent—especially in the field of customer experience, where the playing field is increasingly competitive. As many as 9 out of 10 executives view the customer experience as the primary basis for competition this year, according to Gartner. Creating a superior customer experience has never been as important as now. However, the issue for many companies today is that they have too many different customer systems which, instead of building unity, create confusion and in actual fact act as a barrier to creating a great customer experience. So, being ready internally needs to come before firing on all cylinders externally (and succeeding in the latter is not possible without the former). The customer experience as a whole is owned by the CMO or marketing department, and 86 per cent of CMOs believe they will own the end to end customer experience by 2020, according to the Economist. Primary among these is the usage of mobile devices and networks, personalisation technologies and the Internet of Things. Hence, we see that there’s a shift in focus, in that marketing is focusing more on data and systems instead of primarily on media and screens. Therefore, it’s really more about generating data to derive insight about customers and using this insight to drive engagement. And whilst we’re on the subject of customer data, the security of data is increasingly important and emerges as a key trend for marketers. As usage of IoT is ever expanding, data becomes ever more vulnerable. This means companies need to focus on improving their security where the processing sharing, storing of information is concerned. Marketers know to invest in the most engaging medium out there, which is why video ads will capture nearly 55 per cent of total display ad spending by 2O19, according to Forrester research. Even though video, including the rise of virtual reality videos, is a more engaging medium than text and contributes to more retention of information, there is a warning for marketers wanting to use video for the sake of it. Video should without a doubt add value, such as providing clarification on product usage or to add complexity to a marketing campaign, otherwise you are just wasting your precious budget and time. Every marketer knows that in order for their marketing messages to be successful they need to speak to their customers on a personal level. This is not entirely a new trend but it is emphasised in the fact that marketers are investing more into social media and Gartner's prediction that by 2020, mobile apps and mobile web will overtake e-mail as a top channel to the customer. Channels and messaging that allow for personalisation and engagement will be those that succeed in reaching the customer, as opposed to channels that focus on publishing. Personalisation as a strategy will, and should, play a key role in how brands find and retain their customer base. Customer interaction will take place through technology and personalisation rather than indirect means through media and advertising. A new opportunity that presents itself is providing value and utility in these personalised messages instead of merely broadcasting messaging. Not only being personal, but being human is important. Humanising service as much as possible and removing the robotic experience is what customers expect these days. Thanks to smarter algorithms we can learn about your customer’s preferences with every interaction they make. This helps you identify why a customer is connecting with your company, so that you can provide more effective support. According to Gartner, digital algorithms are at the centre of new customer interactions. These algorithms continue to get smarter as they help companies find trends in data which can be hard for us mere humans to pick up on. And as they handle a growing amount of tasks, this means marketers can focus on other projects. Today consumers are switched on and at the same time turned off by intrusive advertising. Ads that provide value and content are perceived as a more positive experience, therefore more likely to be consumed. So it is not surprising that users are 25 per cent more likely to view native ads (ads that resemble editorial content) than banner ads. Moreover, as many of 33 per cent of consumers are likely to try ad-blocking software in the next three months. It’s not only the intrusive-factor but as people are increasingly busy today if web pages load too slowly due to ads, consumers tire easily. So-called native ads are highly targeted and aim to not disrupt the consumers experience by delivering relevant content in-stream on a website. In summary, as new innovations are thriving and ever-evolving in the marketing space, other innovative marketing techniques. To stay relevant in the midst of the Internet of Things, artificial intelligence, social media, data and analytics; marketing needs to get organised internally to be able to engage consumers with relevant and personal experiences. 2. “The path to 2020: Marketers seize the customer experience”, The Economist Intelligence Unit, 2016.